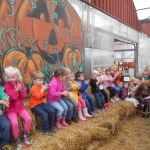 9:00am – 5:00pm Schedule your school or community group for a fall harvest field trip! We are taking reservations for every week day of October. The kids get to learn about vegetables, bees and farming, listen to stories, have a snack of cider and popcorn and make a craft! 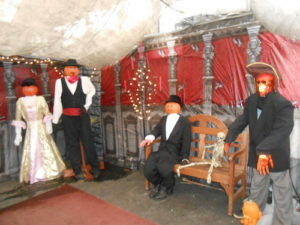 They also get to make their way through our straw maze and pet some farm animals! Call our Eden farm office today! Fun for all Ages! Baby farm animals, straw maze, crafts, games and a giant bounce house! 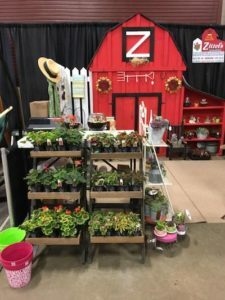 Enjoy a Weidner’s Chicken Barbecue, Jim’s Food Truck, food samples, pumpkins, fall flowers and more! Diesel Engine Train Rides – Sat and Sun September 28 & 29 2019 10 am, 12:30 pm and 3 pm. 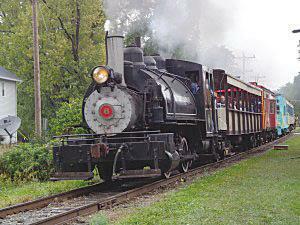 Train rides from Zittel’s to Water Valley and back! Enjoy the beautiful fall scenery on a fun excursion both kids and adults will love! Approx 1 hour. $18 for adults and $15 for children age 2-12 and under 2 on the lap are free. Check out our website for details and the link to order tickets online (ticketing service fee will apply for online registration) or call our market at 716-649-3010. Visit with Santa – Sat and Sun December 7th & 8th 2019 11:00am – 3:00pm. 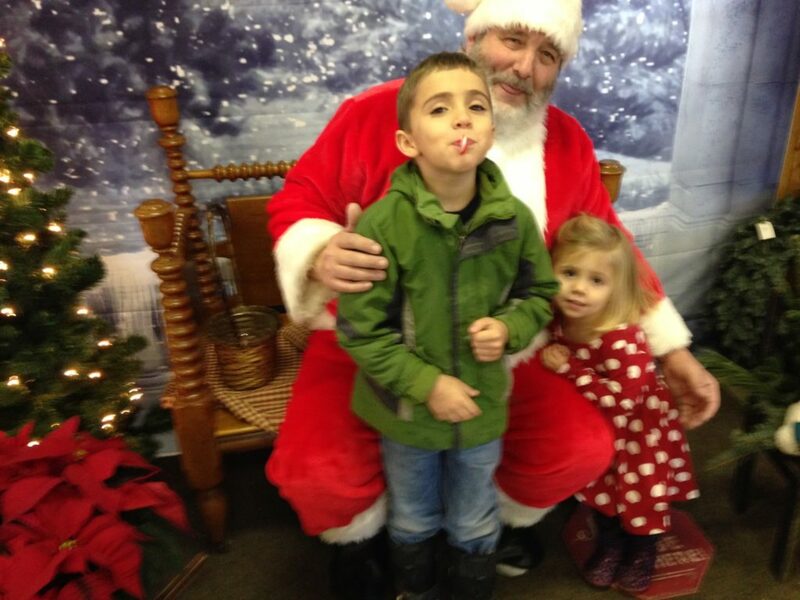 Come tell Santa your Christmas wish list and take your photo. Browse our large selection of fresh cut christmas trees, hung in our greenhouse for easy viewing. Put your order in for our custom made specialty food gift baskets for the holidays, as well as viewing our vast selection of pointsettia’s, wreaths, and gift items. 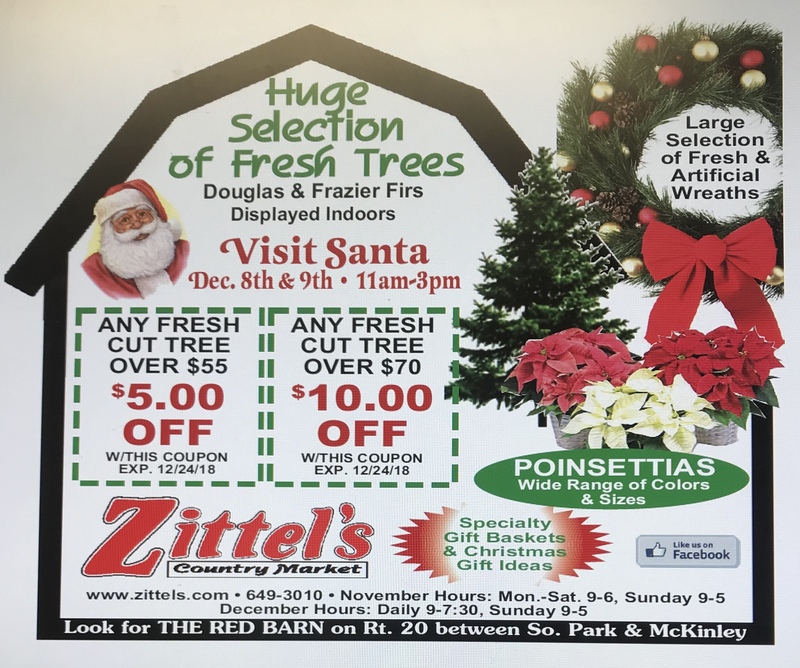 Located below is a link for our coupon for $5 off a fresh cut tree over $55 and $10 off a fresh cut tree over $77.